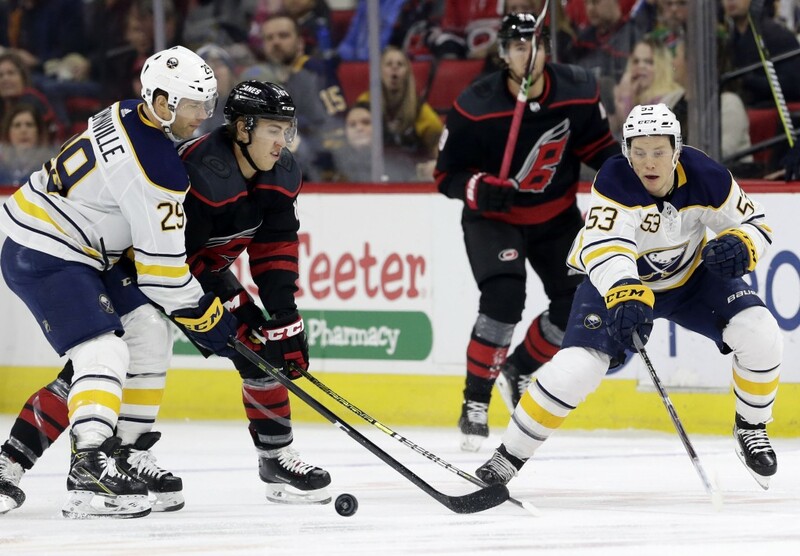 RALEIGH, N.C. (AP) — Sebastian Aho scored two goals off the skates of Buffalo defensemen, and the Carolina Hurricanes held on to beat the Sabres 4-3 on Friday night, spoiling Jeff Skinner's return to Raleigh. Okposo made it a one-goal game late with — what else? 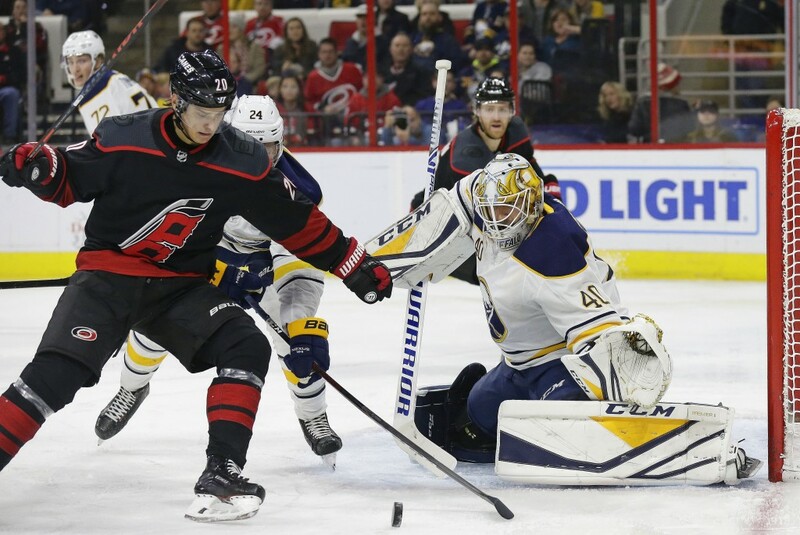 — a tipped goal when his pass down the goal line bounced off the stick of Carolina forward Saku Maenalanen and past McElhinney. 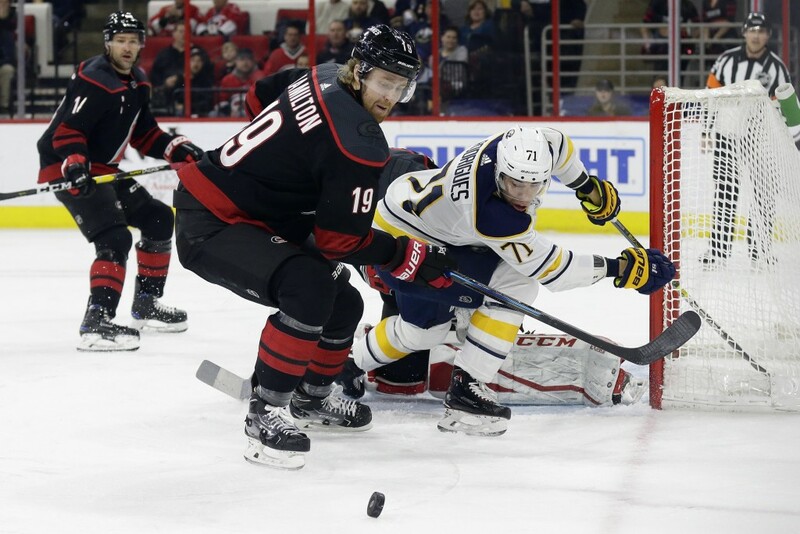 Skinner's 30th goal tied it at 1 with 20.7 seconds left in the first, whacking a rebound out of midair past McElhinney. It came after Ferland was credited with the first weird goal of the night with 9:35 left. His shot hit off Hutton's glove before bouncing off the top of the net and off Marco Scandella's stick before trickling across the line.